Customers on XMission’s network with Internet connections exceeding 5Mbps and a Netflix subscription can now stream Netflix Super HD movies using approved Super HD devices. 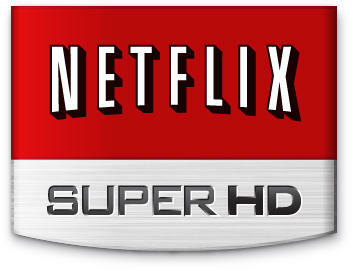 Super HD delivers 1080p, the best picture quality available. Approved Super HD devices include Sony PS3, Nintendo Wii U, Windows 8 App, Roku with 1080p, Apple TV with 1080p, TiVo Premiere DVR, and select smart TVs and Blu-Ray players, with more devices on the way. We have three, new strategic peering agreements with top content providers, including Netflix, Facebook, and Google, which will give XMission connectivity customers faster access to some of the most popular sites. XMission established these peering agreements by participating in the Seattle Internet Exchange (SIX), a major interconnection for communications companies and Internet providers, using a 10 Gigabit connection. Once on SIX, XMission joined Netflix’s Open Connect content delivery network, which allows XMission to provide high-speed customers with Super HD. This is very interesting and exciting. Thanks for the info and the link to SIX to see how it all works. I didn’t think such a thing existed in todays world with everything controled by a few large players. Now if I just lived in an area with UTOPIA.